It's a Milani Monday here at Princess Polish! I'm decided to use two of the green-leaning shades from the new Color Statement collection, along with a little gold, to create a look similar to the Antique Flowers I tried last week. I used Mint Crush for the base, which you can see is a pastel mint cream. 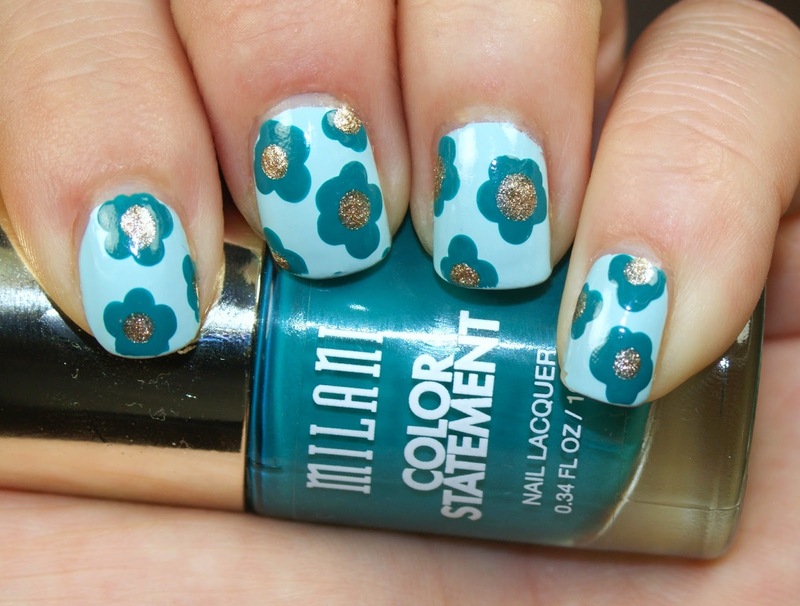 Then I used Tattle Teal for the flowers and Gilded Rocks for the center of the flowers. The new Milani Color Statement line is now available at CVS stores for just $3.99 or from Milani’s website HERE. Truly, these are a great value at just $3.99. Stay tuned... more Color Statement polish reviews are on their way! I like the golden polish thrown in there! i really like the base color!